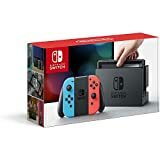 The good news: move quickly and you can get either a Nintendo Switch with Gray Joy-Con or a Nintendo Switch with Neon Blue and Neon Red Joy-Con Prime shipped to your door in two days for free. The bad news: only third-party sellers have it in stock right now, not Amazon, which means you’ll have to pay a premium. 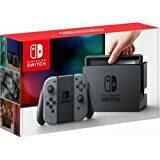 If you’ve been dying to get your hands on a Switch though, this is probably your best opportunity since supply shortages are expected to persist until next year.